Midland-Guildford’s Chloe Piparo has resigned with the Perth Scorchers. THE Perth Scorchers has confirmed it has re-signed seven talented players, including Midland-Guildford’s Chloe Piparo, and added Hockeyroo Mathilda Carmichael for the second season of the Women’s Big Bash League. WA-raised Shooting Stars Chloe Piparo, Megan Banting, Piepa Cleary and Heather Graham have all re-signed, along with local pair Emma Biss and Emma King and last season’s WACA Female Rising Star winner Katie Hartshorn. The addition of the eight players takes the Scorchers squad to 11, joining Suzie Bates, Nicole Bolton and new recruit Lauren Ebsary. The 22-year-old is the sole new recruit, joining the Scorchers after missing selection for the 2016 Rio Olympics with the Hockeyroos. She previously represented New South Wales in cricket at under-age level and impressed last season in the WA Female A-Grade 50-over competition with Melville. 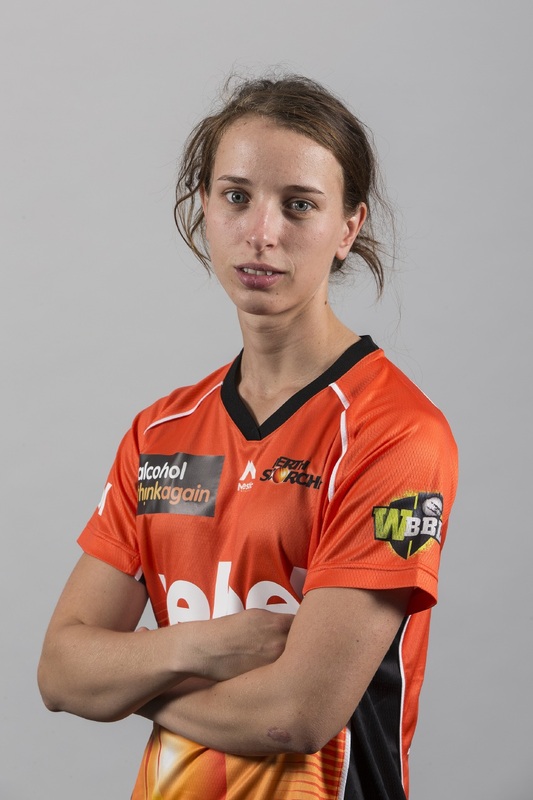 Scorchers coach Lisa Keightley said she was an exciting addition to the squad. “Mathilda showcased her all-round potential last summer after she decided to focus on cricket,” she said. Keightley was also rapt to secure several local promising players for another season, with the Shooting Stars quartet all 21 or younger. “It’s fantastic to keep together our group of up-and-coming local players who are beginning to get opportunities at representative level and helped us make the WBBL semi-finals last season,” Keightley said. The Scorchers begin their second WBBL campaign against Hobart Hurricanes in Sydney on the 10th of December. Four spots remain vacant on the Scorchers’ roster for the 2016-17 campaign.